Kuta was our final destination with friends. 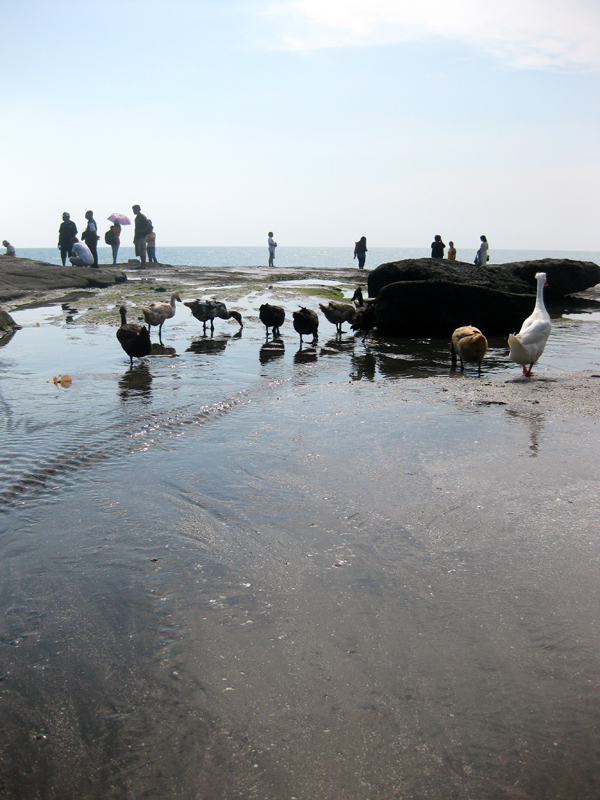 Before we went there, we first made ​​a stop at the most famous sight of Bali: Pura Tanah Lot. As the previous temple visit worked on my nerves I didn't expect much of it now. When we arrived it was already hustle and bustle. Our timing was not ideal. The best times to come here are around sunrise or sunset. It would be even busier, but with the better light and view. Since we have not really had a choice and wanted to see the temple anyway, we were still pleased with our trip schedule. With low expectations I had arrived at the temple and still I was surprised by the beauty of it's location. Despite the notoriety and tourism the spiritual atmosphere still reigns here. And again, I can't find my peace. When I was watching the sea and the waves, a man wants to take a picture of me. I did not understand why, and before I could react, a group of his fellow travelers also wanted to be on their pictures with me. First I found it funny and made small talk with them until I got enough of it and began to wonder where my husband was. When my husband finally came to rescue me, they were even more excited and wanted even more photo's. I found out those people were tourists from Java, but why did they found me more interesting then Tanah Lot wasn't clear to me at all. 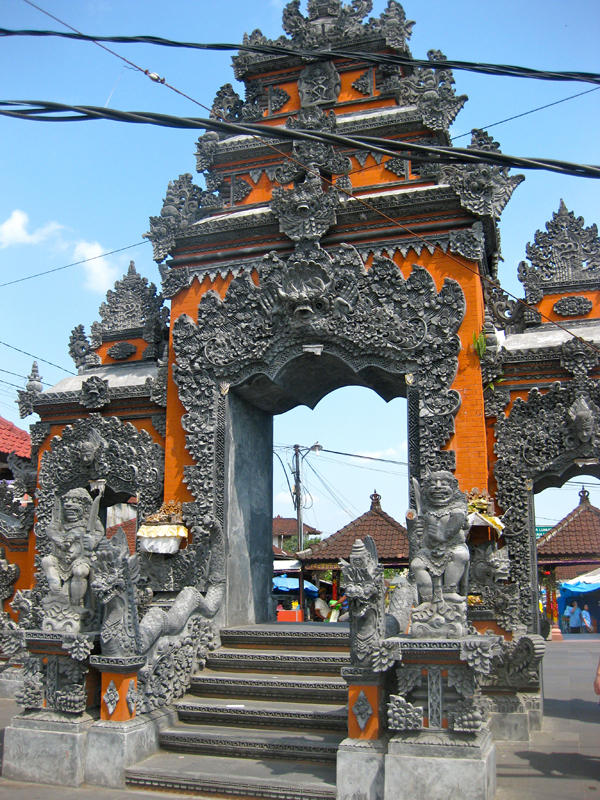 Eventually we managed to leave the Javanese group and continued our journey to Kuta. Unfortunately, not far from our final destination, we got a flat tire. When the driver did his best to replace the tire, ultimately failed and we had to take the taxi to Kuta, we have tasted durian for the very first time. I did not think I would ever dare doing it. But it was meant to be. 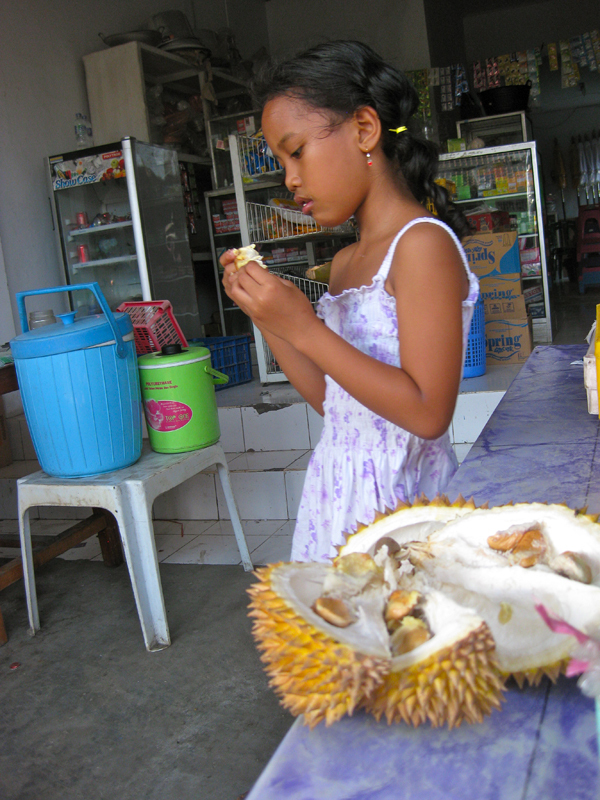 We could not move and the durian shop was the only shelter from the hot sun. I must say that the smell was very fresh and fruity, not bad at all. The texture was pappy, but then again very juicy and fruity. Totally not nasty. Until now, that was really the first experience that opened my eyes during this trip. First impressions in Kuta were not quite positive. We forgot Bali is a paradise. There is an abundance of shops, bars and nightclubs. All are filled with drunken, sunburned and loud Westerners mainly Australians. In the evening the locals trying to sell you drugs. No shortage of action, that's for sure. I wasn't that crazy about the beach either. It's a paradise for surfers. I love swimming, it's one of my favorite activities. But it's no fun when the wind is strong and the waves are high. After an hour or two of trying to enjoy the beach I gave up and went to the hotel pool. But it was not all miserable. We were reunited with our Balinese friend and his family. One evening he took us to a concert where we also met his friends. The last night all of us went to the beach of Jimboran. Those were good times with good and warm company. Ultimately, our friends left Bali. Me and my husband had two more weeks together. 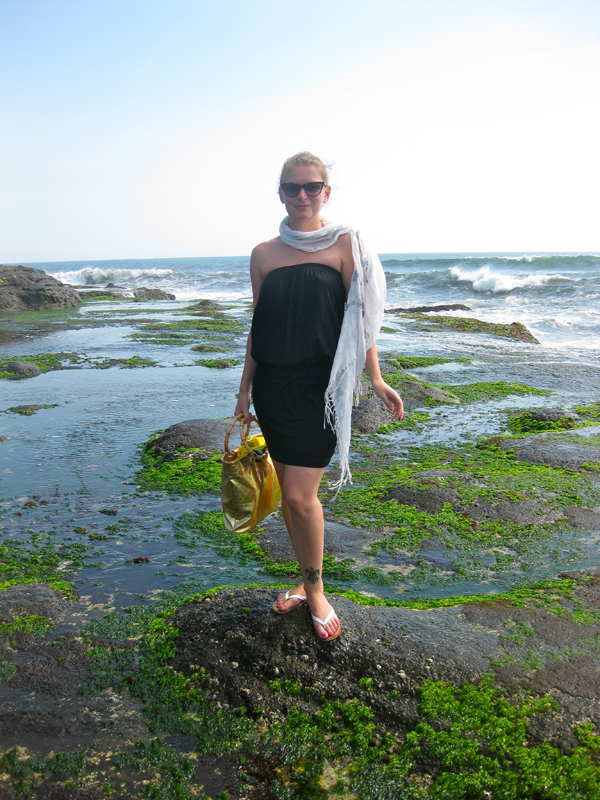 We stayed another night in Kuta, where we took the time to relax and to plan the rest of the trip. We didn't have many plans though. Our goal was to find a nice and quite beach and do nothing. Oh wow - I was in Bali back in September and visited Kuta, Changuu and the Gili Islands - people are so friendly and the beaches are perfect! Your pictures evoke so many good memories!